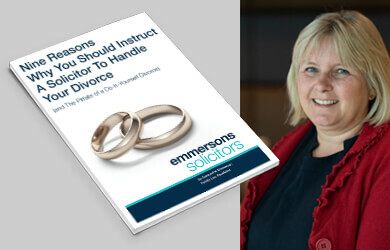 Emmersons' senior partner Jacqueline Emmerson is head of the family department and is a member of the Law Society's Specialist Family Law Panel and Resolution. She is one of a limited number of solicitors in the area who deals with Collaborative Family Law. 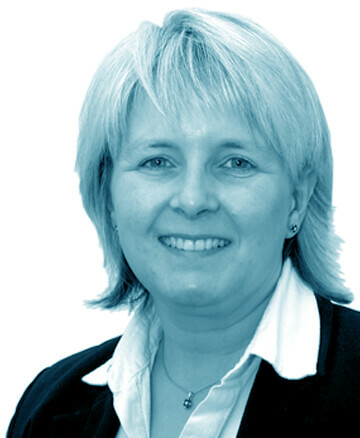 She specialises in high net worth cases often including business assets. Pre-Nuptial Agreements were initially used prior to the Married Women's Property Act 1882, to protect the property of women of wealthy families who were thought to be marrying 'bounders' or 'cads' (who would no doubt run off with the money) by transferring their properties to trustees to hold on their behalf. That was obviously considered necessary at the time. Since October 2000, we have had incorporated into our laws the Human Rights Act, linking us to European legal precedents in a way that means the European practice of honouring pre-marital agreements will be considered, but not necessarily acted upon by any court looking at such an agreement. Without undue influence or pressure and be informed of its implications. It is important that the document is properly drafted and witnessed. Why not save time and money by letting us help you prepare fully for your Initial Advice Appointment? Contact us now for further advice. What Can Emmersons Family Law and Divorce Solicitors Do For You? At present, any such contract entered into by a couple is a factor the court can consider when making a financial order on the ending of a marriage/civil partnership. It cannot, however in English Courts, override the court's discretion to make different financial arrangements on divorce/dissolution. But then, there are various steps the parties can take to ensure their premarital agreement is given as much weight as possible, and our Family and Divorce lawyers and Estate Planning Lawyers can help you. If you would like to consider drawing up a Pre-Nuptial Agreement, we can advise and assist you, in looking at the following areas. Seek their own independent legal advice before entering into the agreement. Fully disclose to the other a true picture of their financial means and circumstances, with a summary of such means being attached to the agreement. Bear in mind that, on divorce or dissolution, a court looking to review an arrangement will want to see if it leads to a fair division, on a basis of equality and if not, why not? Make clear how any assets each party is taking into the marriage/civil partnership are to be held in future and how they will hold any new assets acquired. Address how the equity in the home will be divided and who will occupy it if the relationship breaks down. Address how assets are to be divided in the event of the death of either party. Be entered into not less than 21 days before the marriage/civil partnership ceremony. Pre-nuptial agreements are of particular importance to those entering into second marriages who wish to protect their assets and crucial for couples who have already entered into such agreements in other countries where such agreements are enforceable. 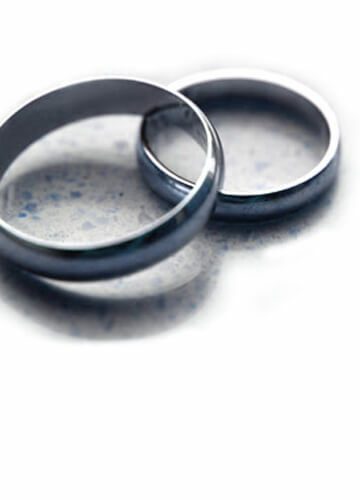 Please contact us if you would like more information about making a Pre-Nuptial or pre-civil partnership agreement. Our Gosforth Office has wheelchair access, you can be dropped off at our front door and there is free parking on the adjoining streets. You can also park opposite our Sunderland Office on John Street. I am frequently asked about the value of instructing an expert solicitor to handle a divorce. I have put together this useful guide which will answer many of your questions. If you are contemplating a divorce or separation, and wondering whether you need a solicitor to assist you, then my guide will help you to decide. Regards, Jacqueline Emmerson. Your Family Law and Divorce Experts with offices in Newcastle and Sunderland. Read our latest news and articles and insight. Pre Nuptial Agreements, They're all the rage… aren't they? Complete this short enquiry form and we will reply within normal working hours (no cost or obligation). *Just to check you are human, please fill in our Capcha. "Solicitors in general, get bad press, but in your case I've found dealing with you has been easy, quick and simple. Well done."